Front, (L-R) Julie Flood, Sean Reid – Cathaoirleach, Linda Casey, Peter Nolan – national secretary. 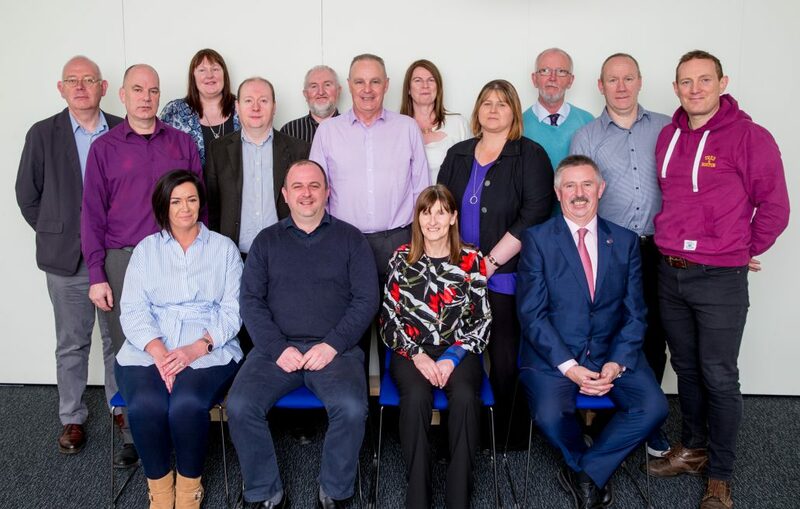 Back (L-R) Tom Browne – 3 rd rep, Gerry O’Quigley – leas cathaoirleach, Ann Marie Maher, Ray Kennedy, Pat Considine, Michael Whyms, Catherine White, Susan Gherin, Vincent Savage, Padraig McGivney, Seamus Smith. Missing from photo: Declan Connolly and Orla Murrin.